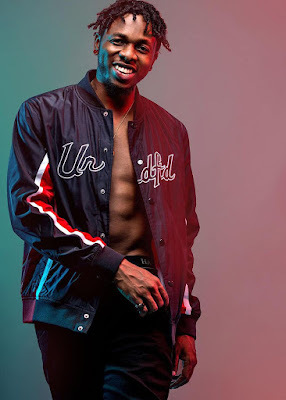 Despite the fact the Runtown seems to have won the court battle between himself and his former label,Eric Many, it looks like the war is far from being over. Eric Many has come out to say Runtown lied about the court case victory. In a statement released by the record label, they claim that Runtown has only a 14-day window to file a defence of the case at the appeal court. The statement reads "It has come to the knowledge of Eric many Limited that our artiste, Douglas Jack Agu, alias ‘Runtown’, has taken to the social media, especially twitter and Instagram, celebrating a supposed ‘victory’ in our case in Court. Runtown is telling lies. Runtown did not win the case. He has not even filed a defence. His lawyers only challenged the jurisdiction of the Court, claiming that the case is supposed to go for arbitration. Ericmany challenged the right of Runtown’s lawyer to appear in the case, since the same lawyer prepared the Recording Contract which Runtown is breaching. On 4th December 2018, the Court ruled that Runtown’s lawyer can appear. But the Court dismissed Runtown’s application challenging its jurisdiction. It held that a breach of the contract is not for arbitration. The Court also held that Runtown should maintain the status quo. This means that Runtown should stop operations until the case is over. Runtown filed two appeals in the Court of Appeal on these. He then prayed the High Court to suspend the decisions and the trial itself “pending the determination of the Appeal filed at the Court of Appeal, Abuja”. In the meantime, Ericmany commenced contempt proceedings against Runtown due to his flouting of the Court Order. Form 48 was served on him at page 18 of Punch newspaper of 19th January 2019. On 23rd January, 2019, the High Court agreed to suspend its decision and further trial to allow Runtown’s appeals to run out. This is normal practice. The lower Court cannot be seen to be fighting the appeal Court. The Court warned Runtown to move his papers to the Court of Appeal within 14 days or the relief is cancelled. The so called ‘victory’ is like the ‘victory’ of a convicted person who obtained a suspension of his jail sentence until a decision is taken on his appeal. Indeed, a very unintelligent lie. So rather than misleading the unwary public that he has won, Runtown should rather concentrate on pushing his appeals. The relief he got in the High Court is a merely a short break by the High Court to respect the Court of Appeal. The case is still there. He has not filed a defence because he obviously has no defence. Runtown still owes Ericmany more than N266 Million. He has not produced a single album as agreed. The Contract is still running. Ericmany has won the first round. Runtown has filed two appeals. The case is presently before the High Court of the FCT and Court of Appeal. Runtown cannot lawfully do anything contrary to the Contract until he wins the appeal. He has never obeyed any Court order. We hope that now that he has run to the Court of Appeal he will respect the Court of Appeal. We therefore warn the general public not to buy his lies of ‘victory’. The High Court only suspended trial to await Runtown’s appeal. No law abiding person or corporate body should have anything to do with Runtown until the court cases are over. Court proceedings must be respected by all. "We must learn how to honour contracts. Ericmany wants to set an example, even if it takes 50 years to make the point. We are looking beyond Runtown in this struggle. Contracts must be respected in Nigeria. You don’t invest millions in a greenhorn artiste and when he feels he has become known he abandons the Contract and start insulting the investor calling him ‘broke’ and courting public sympathy. Such conduct is immoral and Ericmany will deploy all it has to make this point. Yes, many ingrates might have done it and gotten away with it, but we choose to fight for sanctity of Contract. We will fight it all through, no matter how long and how much it takes until Runtown honours his Contract prepared by his own lawyer which he freely signed. At Ericmany, we see this as a fight for honour and principle."